Volume IIB is the second volume relating to (and completing) the Wehrmacht, and the German mobilisation and war-economy, from June to December 1941. 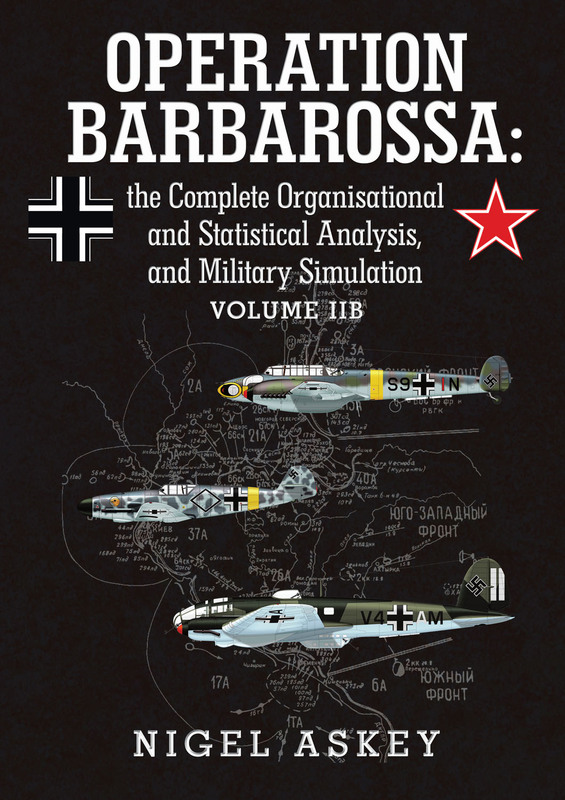 It includes the most detailed Orders of Battle ever published on the German Heer, Luftwaffe, Waffen SS and Kriegsmarine, in all areas of the Reich, between 22nd June and 4th July 1941. Even small and obscure units are included, such as: flak companies, artillery HQs, observation battalions, bridging columns, Landesschutzen battalions, MP battalions, railroad companies, and Luftwaffe Kurierstaffeln, Verbindungsstaffeln and Sanitatsflugbereitschaften. The Luftwaffe OOBs also include details on aircraft types and strengths in each air unit. 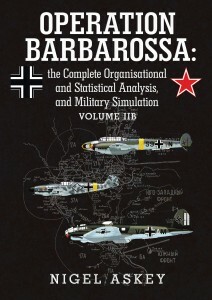 Also scrutinised in detail are: the personnel and equipment allocated to combat-units in each army, army-group or reserve-force, in all areas across the Reich during the initial phase of Barbarossa; the ground and air units used as reinforcements as well as those newly mobilised; the total available military personnel and equipment in the Reich from June to December 1941; the Replacement Army; the overall mobilisation process and resources used; the available replacements and those sent east; the logistical supply of the Wehrmacht (i.e. the changing Supply Distribution Efficiency); the Kriegsmarine forces in the east; and the Wehrmacht and Waffen SS casualties from June 1941 to February 1942. The latter includes details on killed, wounded, missing/POW, sick and unfit, and recuperated casualties. Volume IIB should be available at Amazon.com stores within the next few weeks.